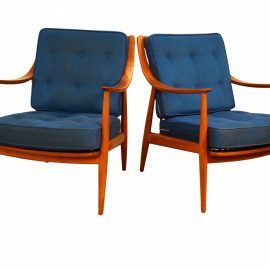 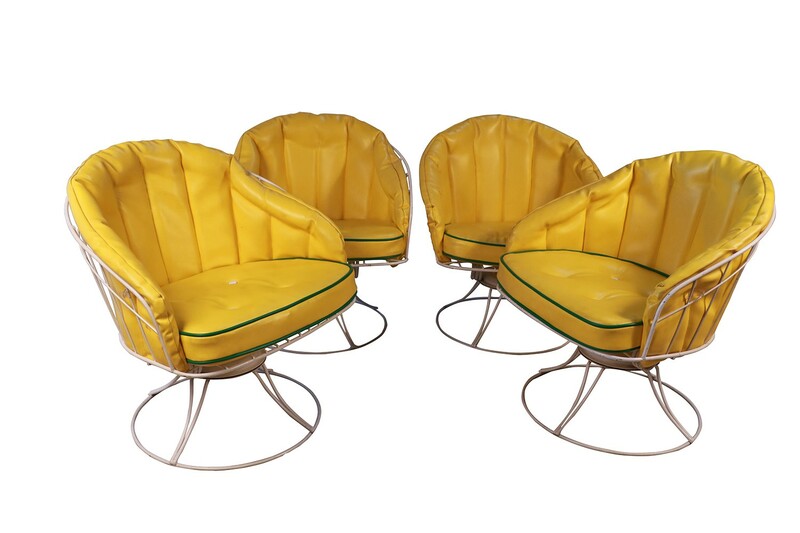 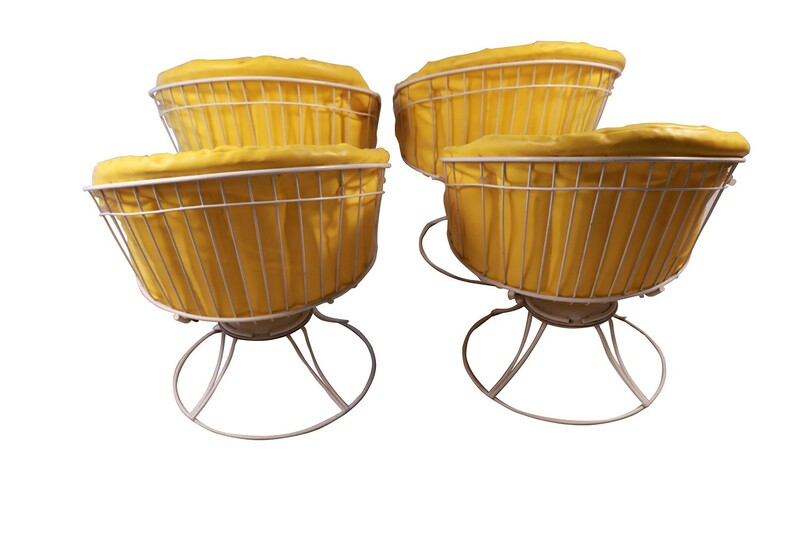 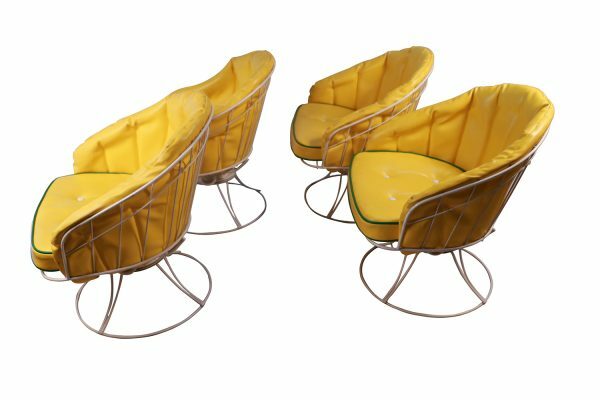 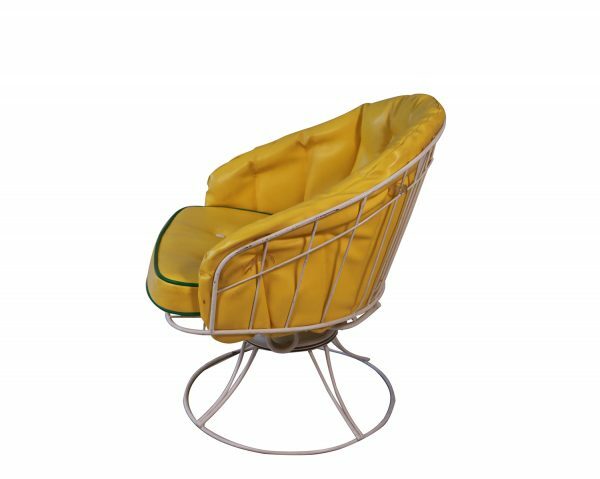 A fabulous set of four mid-century modern vintage metal wire swivel barrel chairs, made by Homecrest in the 1960s. 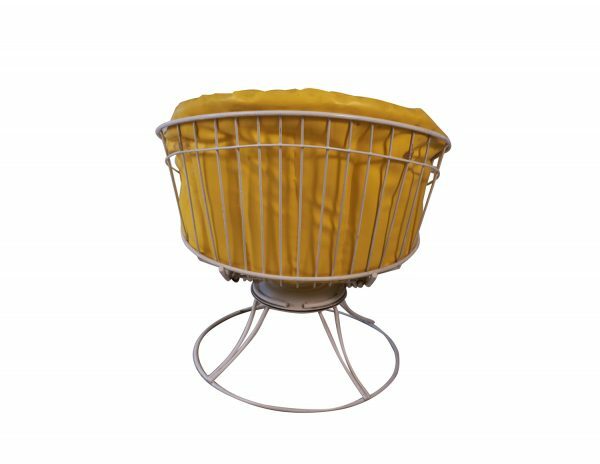 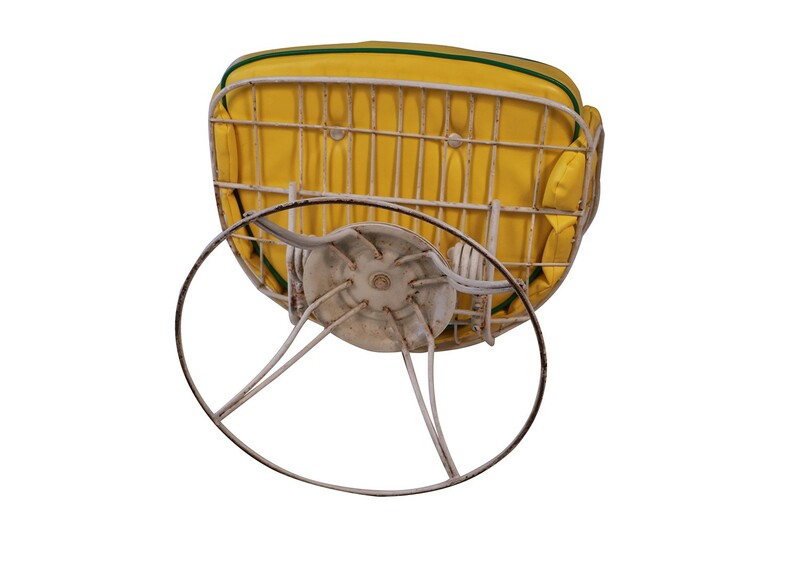 Features white metal frames with a swivel, rocking and tilt design, and deep barrel back for added comfort, resting on patented Bottemiller swivel rocker mechanism, that was the trademark of Homecrest’s outdoor living Metal Wire Line. 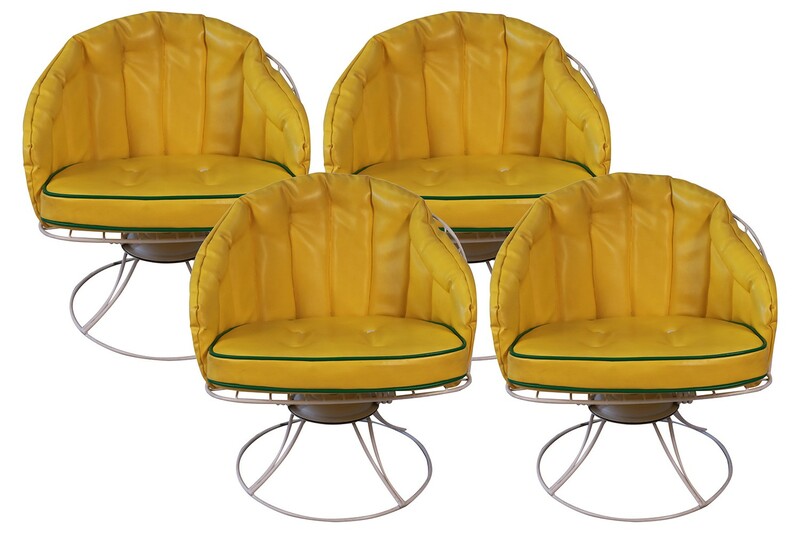 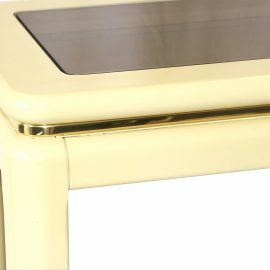 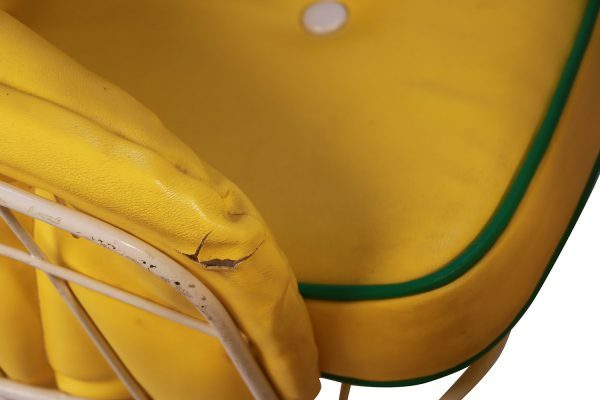 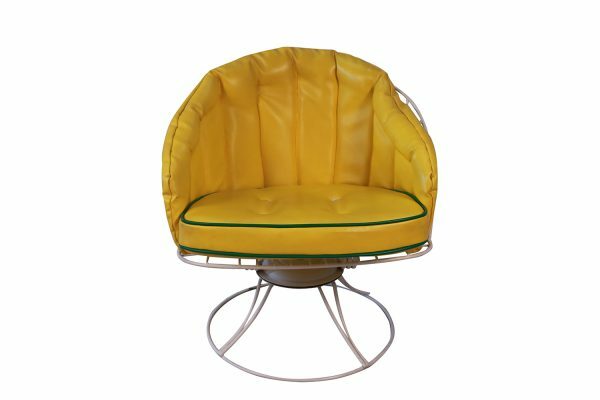 Seats retain original high-quality canary yellow vinyl cushions. 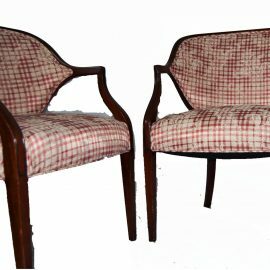 They remain in excellent vintage condition and are comfortable. 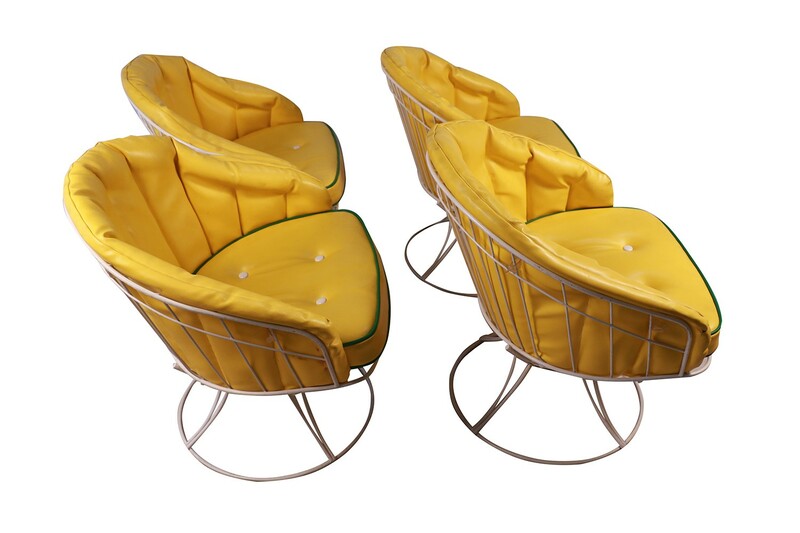 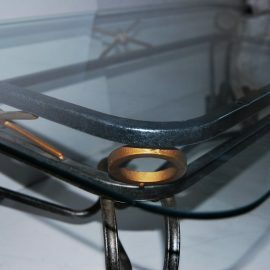 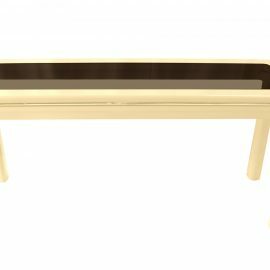 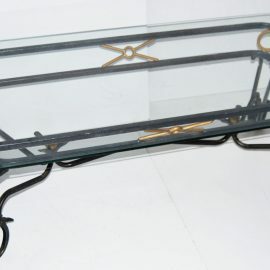 The wire frames are very sturdy, this iconic mid century set can be used indoor or outdoor, very well crafted. 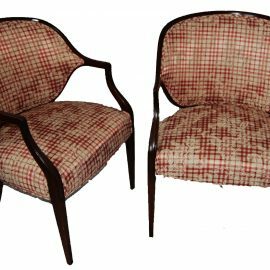 Condition Report: Original cushions; minor tears to vinyl, wire frame in exceptional original condition, very minor surface flaws. 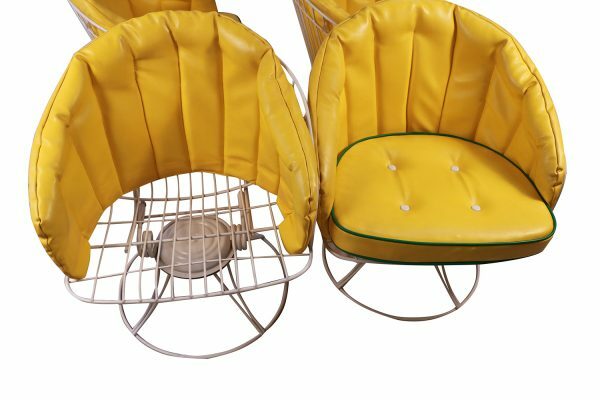 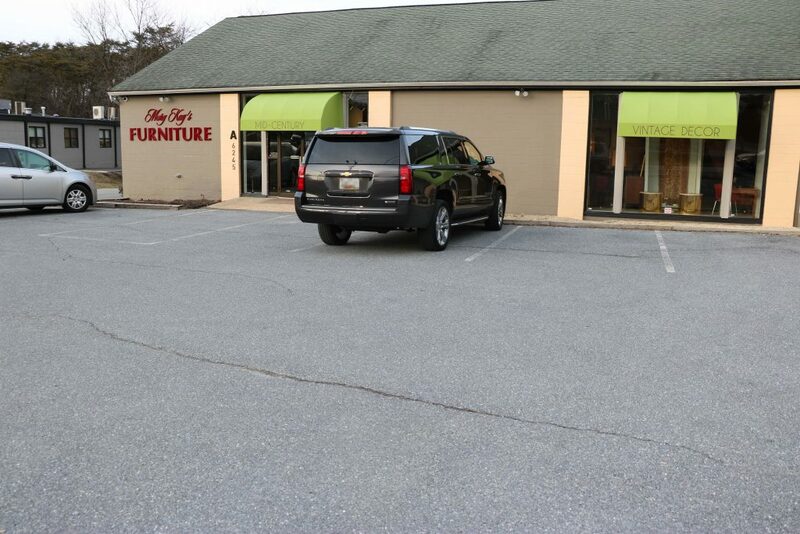 Structurally sound and very comfortable seating.